The beginning: Al-Anon Family Groups comes to be Just as A.A. was founded on the power of alcoholics helping other alcoholics to recover from alcoholism, Al-Anon pioneers discovered the power of family members, friends and associates of alcoholics to help each other recover from the effects that alcoholism had on their own lives. A.A. in its early days was a family affair. A.A. meetings were initially held in member’s homes, and the family members (most often but not exclusively wives, and often including children) either joined the meetings with the alcoholics or gathered together in the kitchen or other rooms and shared with each other while the alcoholics had their meeting. Later, when A.A. in New York acquired a clubhouse and began having meetings that were exclusively for alcoholics, family members would congregate together in another room, sharing their stories and experiences with each other. Members of these “family groups” often discovered they reaped personal benefits from living by A.A.’s Twelve Steps, including improvement in their family relationships, which often remained troubled even after the alcoholic became sober. Bill and Lois were childless; Lois had suffered ectopic pregnancies and was subsequently unable to have children, and their application to adopt a child had been denied due to Bill’s alcoholism. As Bill threw himself into working to help other alcoholics, Lois found their home perpetually full of alcoholics, some sober and some still drinking. One alcoholic guest committed suicide in their home after pawning Lois and Bill’s clothes to settle his gambling debts. Much of the time that Lois had hoped to spend with her now-sober husband was instead spent at meetings or otherwise without Bill. Lois was grateful for Bill’s sobriety and wanted to support him as she felt a good wife should, but she found herself frustrated, unhappy, feeling like she had failed at “her job” of sobering up Bill; and full of self-pity, hurt pride, and resentment. Lois’s “bottom” came when, in response to Bill’s asking her if she was ready to go to a meeting with him, she threw a shoe at him and yelled, “Damn your old meetings.” Lois realized that her own life had become unmanageable, and she realized she needed help. Lois made a decision to “strive for my own spiritual growth.” In doing so, Lois used many of the principles of A.A. to change her own attitudes. While grateful for what A.A. was doing for their now-sober loved ones, many family members experienced frustration that things were not as they imagined they would be when their loved one got sober. As family members shared their thoughts with each other, they discovered they had problems, feelings, and experiences in common. Some expressed their frustrations in letters to the “Grapevine,” A.A.’s magazine. Some experienced what Lois called “the stirrings of their own regeneration” and embraced the principles of the A.A. program, trying to practice them in their own lives. They discovered that living by A.A.’s Twelve Steps helped themselves, often improved family relationships, and in some cases seemed to encourage an actively drinking alcoholic to engage in A.A. Informal “Family Groups” for wives and other family members began to form, often holding weekly meetings. Some of these groups met specifically to support an A.A. group by providing refreshments or other support; some met for their own spiritual development. In 1943, Bill and Lois traveled around the U.S. and met with many family groups. 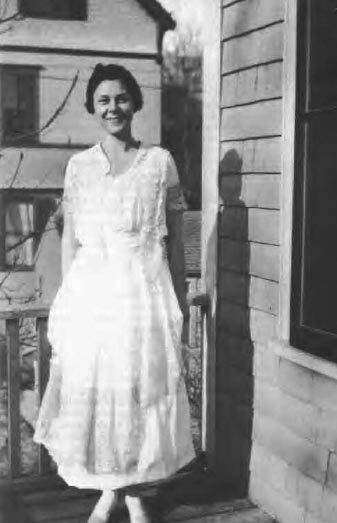 Lois often spoke at open A.A. meetings and at family teas and luncheons, describing how personally beneficial it was for her to live by the spiritual principles of A.A. Anne S., (Dr. Bob’s wife) did not travel as extensively as Lois, but prior to her death in 1949 she contributed to the foundation of what would later become Al-Anon Family Groups through her own work with family members. In 1950, Bill W. returned from an extended visit with A.A. groups in the U.S.A. and Canada with the suggestion that Lois opens a service office in New York to connect the increasing number of family groups. The office would allow family groups to register, receive literature, and become more unified, as well as provide a central locus for information dissemination and a place for desperate family members to go to for help. Lois was initially reluctant; she was around 60 years of age at this time, she and Bill had only recently acquired their new home, “Stepping Stones,” in Bedford Hills, New York, and Lois wanted time to enjoy having a home and garden of their own. However, the idea grew more intriguing to her, and after the A.A. General Service Conference in 1951, wives of several of the delegates met at Stepping Stones for lunch with other family group members. After this, Lois decided to open a service office for Family Groups. She asked her close friend Anne B. to help her. Anne was the wife of a chronically relapsing alcoholic and had sought release from her fears and personal recovery from the effects of living with an alcoholic by starting a Family Group in Westchester County, New York. Although “family groups” began forming as early as 1936, Al-Anon is considered to have begun in 1951 when these groups became unified. Working at Stepping Stones, Lois and Anne rented a post office box, and in May of 1951 they contacted a list of 87 family groups and individual family members who had written to the A.A. General Service Office, seeking their input on unifying the Family Groups and on selecting a name. 48 of these groups and individuals replied that they were interested in uniting in a fellowship and in having their own service office. Two Family Group pamphlets were written and printed, and periodic bulletins were sent to the groups. A meeting of local Family Group chairs and secretaries was held at Stepping Stones in 1951, and a service committee was elected to provide Anne and Lois with help and advice. In less than a year, the number of family groups grew from the original 48 to 200. Several of the family groups had developed Steps or guidelines of their own, but collectively the family groups recognized the strength of A.A.’s Twelve Steps, and requested permission from A.A. to adopt the Twelve Steps, changing only one word in the 12th Step (“carry this message to others” rather than “carry this message to alcoholics.”) Permission was granted, and Al-Anon’s Twelve Steps were born. A.A. offered the use of a room at their club in New York City for family group volunteers to work, and in January 1952, the family group headquarters moved from Stepping Stones to the 24th Street A.A. clubhouse and became a “clearinghouse” for family group information. Al-Anon headquarters remained at this location until 1957, when it moved to 125 East 23rd Street. Members selected the name, “Al-Anon Family Groups” for their growing fellowship. 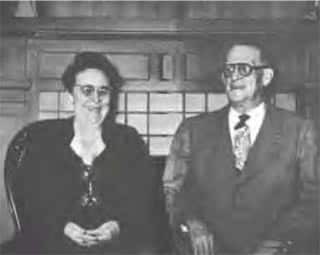 Lois W., co-founder of Al-Anon Family Groups and the wife of A.A.’s co-founder Bill W.
Anne S., one of the pioneers of the early “family groups” and the wife of A.A.’s co-founder Dr. Bob S.
1951 – Lois W., wife of Bill W., co-founder of AA, and Anne B. founded Al-Anon. The first World Service Office was opened in New York to provide services to eighty-seven groups located in the United States, Canada, Australia, South Africa, and Ireland. Lois W. was born in Brooklyn, New York, on March 4, 1891. She was the eldest of six children, with two brothers and three sisters (one of whom died in infancy.) In her writings, Lois recalls a loving family and a mostly very happy childhood. Her family lived in a brownstone house on Clinton Street in Brooklyn, where her father had a medical practice, and spent much time in Manchester, Vermont, where they had a summer home. Lois was educated in private schools and graduated in 1912 from the Packer Collegiate Institute. Following this, Lois studied at the New York School of Fine and Applied Art for two years and then accepted a job at the YWCA. In Vermont, during the summer of 1913, Lois met her future husband, Bill W., through her brother Rogers. Initially, Lois was not particularly interested in Bill, as he was four years her junior, but by the end of the next year, Lois had decided Bill was the most interesting, most knowledgeable, and the finest man she had ever met. They spent much time sailing, hiking, talking, enjoying music and enjoying each other’s company, and became secretly engaged in 1915. In 1917 Bill was a student at Norwich University, a military college in Vermont when all academic work halted because of World War I. Bill was sent to officer’s training in Plattsburg, New York, and was later commissioned a second lieutenant. Bill and Lois married on January 24, 1918. Six months later, Bill was sent overseas. Bill was abstinent when he and Lois first met; his drinking began shortly before they were married. Lois was not initially concerned about Bill’s drinking; her writings say that she felt Bill drank to be “social” and that her love would inspire Bill to resume abstinence. Bill returned home from Europe in 1919, and tried to settle into a job and a vocation. Bill took law courses and Lois worked as an occupational therapy aide. Following completion of his law course, Bill worked at various jobs. His drinking escalated. Lois became pregnant in the summer of 1922 with the first of three ectopic pregnancies. Lois was never able to bear children, a bitter disappointment to both Bill and Lois. Several years later, they applied to Spence-Chapin adoption agency to adopt a child and were denied due to a report of Bill’s excessive drinking that was told to the agency by a friend they had listed as a reference. In 1925 Bill and Lois set off on a motorcycle trip to investigate and report on companies for investors. They brought a tent for sleeping and took various jobs along the way. The trip was a success, and Bill achieved subsequent business success as a stock analyst. Bill and Lois enjoyed financial security and prominent social status during the later part of the 1920’s. However, Bill’s escalating drinking created problems at work and at home, and eventually, Lois by necessity had to find jobs to support her and Bill. In 1930 she completed a course at the New York School of Interior Decorating, which lead to work at Macy’s and later at Loeser’s department store. Bill’s progressive drinking eventually destroyed his career, damaged his relationships and his health, and brought him to the brink of insanity and death. As Bill checked into and out of sanitariums, Lois was advised that Bill would soon either die or require permanent institutionalization. Lois tried desperately to help but found herself powerless to “fix” what was wrong. Her diary entries during Bill’s heaviest drinking years reflected despair mingled with a refusal to abandon hope for the man she loved and the life she hoped for. Bill finally achieved sobriety in 1934, through a life-changing spiritual experience. In 1935, Bill met Dr. Bob S., and Alcoholics Anonymous came to be. Through subsequent years, as Bill threw himself into his A.A. work and often filled their Brooklyn home with alcoholics, Lois tried to support her husband’s work with alcoholics while working at various jobs to support her and Bill. Lois became frustrated, unhappy, and full of self-pity, hurt pride, and resentment. Her “bottom” came when, in response to Bill’s asking her if she was ready to go to a meeting with him, she threw a shoe at him and yelled, “Damn your old meetings.”Lois realized that she needed help, and she made a decision to “strive for my own spiritual growth” by employing many of the principles of A.A. to change her own attitudes. Through her own emotional struggle and through witnessing other family members who were similarly impacted by alcoholism, Lois came to realize that alcoholism is a family disease and that the solution was a program for family recovery. During the 1930’s, Lois and Bill were forced by economic necessity to leave the house on Clinton Street in Brooklyn for a nomadic life, staying in temporary quarters or boarding with other families. 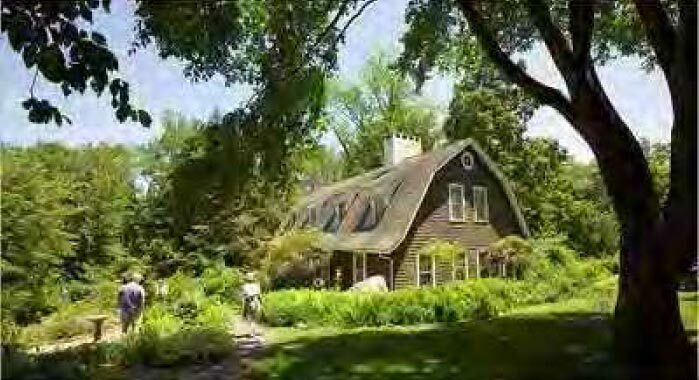 In 1941 they were offered the opportunity to obtain a home in Bedford Hills, New York. Twenty-three years after their marriage, Bill, and Lois moved into the home they later named Stepping Stones – the first home they had ever owned. In the 1940’s, Bill and Lois traveled through the USA and met with many family groups as well as A.A. groups. Lois described how she practiced the spiritual principles of A.A. for her own personal benefit at many open A.A. meetings and family group gatherings. In 1951, Lois followed Bill’ssuggestion to unify the family groups. Lois was initially reluctant; she was 60 years old and wanted to enjoy a quiet life at Stepping Stones. Her strong sense of service prevailed, and she and her friend Anne B. moved forward together with the scattered family groups into what would become Al-Anon. New York. Tours of the home are offered by the Stepping Stones Foundation. Bill and Lois traveled extensively around the USA and abroad, until Bill’s death in 1971, on the 53rdanniversary of their wedding. Lois continued her work with the growing Al-Anon fellowship; she felt she had“a purpose in life, even with Bill gone.” The year afterBill’s death, Lois, and an Al-Anon friend traveled around the world, receiving excited welcomes from members of A.A. and Al-Anon groups everywhere. She spoke at Al-Anon and A.A. functions until she was into her 90’s, including A.A. International conventions. At the age of94, she addressed an audience of over 45,000 at the 50th Anniversary A.A. convention in Montreal, receiving a standing ovation. 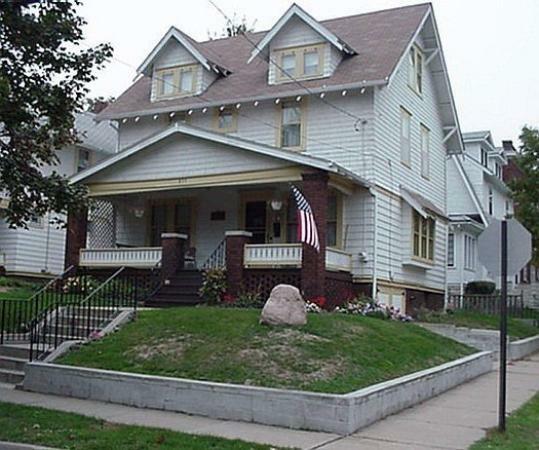 Lois welcomed A.A. and Al-Anon visitors to her home at Stepping Stones, and in 1979 formed the Stepping Stones foundation to maintain stopping Stones for the benefit of A.A. and Al-Anon members. 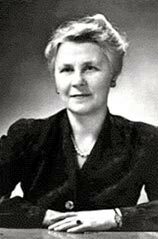 Today, the Stepping StoneFoundation continues to preserve the home and property, and share the story of hope and recovery for alcoholics, family members, and friends.Lois W. died in 1988, at the age of 97. Her work with the Al-Anon Clearinghouse was instrumental in Al-Anon’s growth to become the program it is today. The legacy she left through her Al-Anon work lives on and thrives. Lois worked devotedly and selflessly to carry the message of hope to those affected by alcoholism. She became a guiding light to others who suffered from the effects of a loved one’s alcoholism, and to those who carry on the work of the Al-Anon program. Anne S. was born in 1881 and was raised with her three siblings in Oak Park, Illinois (a suburb of Chicago.) Her father worked for the railroad, and her mother was a homemaker. 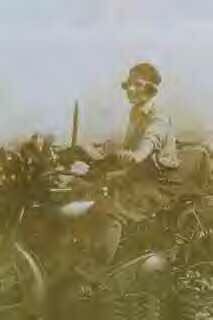 Anne was a good student who won a scholarship to Wellesley College. After graduation, she returned to Oak Park and taught school. She met her future husband, Dr. Bob S., at a dance at Johnsbury Academy in Vermont when Bob was a senior at the Academy. They married seventeen years later on January 25, 1915, after Bob had finished college at Dartmouth, medical school at the University of Michigan and Rush Medical Schools, and an internship at City Hospital in Akron, Ohio. Dr. Bob set up his practice in Akron, and the couple settled into their home on Ardmore Avenue. They had one son (Robert Jr.) in 1918 and adopted their daughter, Sue when both Robert Jr. and Sue were five years old. Anne reportedly had concerns about Bob’s drinking before they married. Although he had periods of sobriety, Bob’s drinking and the consequences he experienced related to drinking escalated during his college and medical school years, including a break-down following medical school that required two months of recuperation with his family in Vermont. Bob maintained sobriety for the first three years of their marriage, but over the next twenty years, Dr. Bob’s problems with alcohol and pills escalated. Anne tried in every way she knew to help Bob stay sober; she extracted promises from Bob that he would stop drinking; she frisked him for bottles and tried to keep alcohol out of their home, all to no avail. Anne’s sense of faith and hope was severely challenged as Bob’s drinking continued to spiral further and further out of control. In January 1933, Anne heard Frank Buchman of the Oxford Group speak in Akron at the Mayflower Hotel. Anne was attracted to the spiritual principles of this group and had hope that it might help Bob get and stay sober. She and Bob attended Oxford Group meetings regularly – but Bob’s drinking continued. On May 11, 1935, with five months of fragile sobriety, Bill W. found himself in the lobby of the Mayflower Hotel in Akron, teetering on the edge of relapse after he had suffered a bitterly disappointing business venture. Instead of drinking, Bill called local pastors to find an alcoholic he could work with. An Episcopal minister put him in touch with Henrietta Seiberling, a friend of Anne and Dr. Bob’s. Henrietta contacted Anne, and despite Bob’s protests, Anne arranged a meeting between Bill and Bob on Mother’s Day in 1935. Bob was intrigued by his conversation with Bill, and after a relapse on June 11, 1935, Dr. Bob stayed continuously sober. Bob’s sobriety date is considered to be the founding date of Alcoholics Anonymous (although the group was not named until later.) Anne invited Bill to move into their home for the three months that he stayed in Akron, and the two men began helping other alcoholics. Written and anecdotal accounts of the early days of A.A. indicate that Anne devoted much of her time to supporting the growing A.A. program and nurturing the alcoholics and family members who came to the fledgling program seeking help. Hundreds came to Anne and Bob’s home over the next several years, and Anne welcomed them all, even after one apparently delusional alcoholic chased her through her house brandishing a large butcher knife. Anne acted as friend, nurse, counselor, and spiritual support to both alcoholics and family members. She has been described as showing exceptional kindness, patience, tolerance, humility and love towards all, particularly the newcomers. A.A.’s often came to Anne and Bob’s home early in the mornings for Anne’s “quiet time,” where they would read the Bible, pray, ask for guidance, and seek spiritual growth. Bill W. and others noted that Akron A.A. had far higher initial success than New York A.A. in helping alcoholics stay sober, and attributed much of this to Anne’s emphasis on love and spirituality. Anne offered comfort, counsel and hope to the wives of alcoholics, and encouraged them to reach out to other wives who were newcomers. 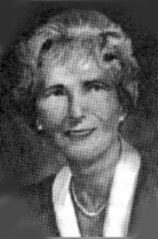 Bill W.’s wife Lois, one of Al-Anon’s cofounders, was supported, mentored and guided by Anne S. Anne was reported to have started an Akron group especially for family members in 1936. 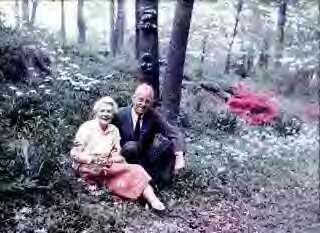 Bill W. has been quoted as calling Anne the “Mother of A.A.,” and Bill has credited Anne with elucidating many of the spiritual ideas that later became guiding principles of A.A. and Al-Anon. From 1933 (two years before Bob’s recovery in A.A.) to 1939, Anne kept a journal where she recorded notes on Oxford group principles, plus thoughts illustrating her spiritual wisdom, learning, ideas, and journey. Her journal was 64 pages, some written by her by hand and some typed by her daughter Sue. Many of the principles Anne wrote about in her journal later became basic tenets of the programs of A.A. and Al-Anon. The A.A. “Big Book” (published in 1939) contains many passages that are very similar to Anne’s journal entries. Anne’s writing, teaching, and sharing seem to have had a direct influence on the Twelve Steps and other A.A. and Al-Anon principles. Through this, and her reaching out to alcoholics and family members, Anne played a major role both in A.A. and Al-Anon’s development. Anne was one of the first to recognize that family members of alcoholics could improve their own lives by practicing many of the same principles that A.A. members were practicing. at 855 Ardmore Avenue in Akron, Ohio. Free tours of the home are available, and thousands come during A.A.’s annual Founders Day celebration. and arthritis affected her ability to walk and to use her hands. 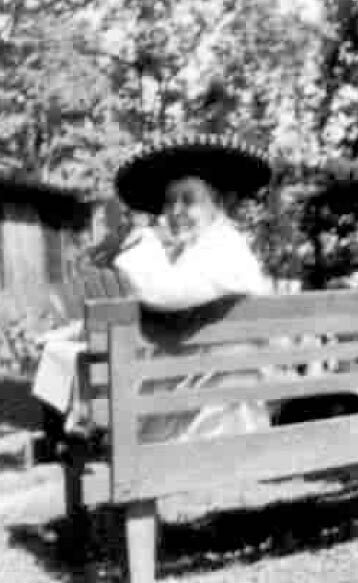 Her ability to travel was limited, but she continued to welcome and work with A.A.’s and family members who came to her home. Anne died of pneumonia in 1949, preceding her husband’s death by four years. Letters to Dr. Bob and tributes published in the A.A. Grapevine and in other later writings, detailed many acts of Anne’s kindness, gentleness, love, and support, and paid tribute to her importance to the growth and development of A.A. and to the family groups that later united to become the Al-Anon fellowship. 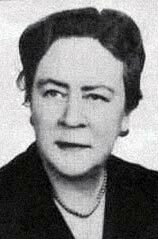 Anne B. was born in Brooklyn, New York, on November 9, 1899. She had one sister, who died in childhood of heart disease. Her mother was a seamstress, and her father was a chauffeur who often traveled overseas with the family he was employed by. Anne described herself as a shy, sickly and fearful child who did not get along well with her mother. She was often ill, and after she contracted Sydenham’s chorea (“St. Vitus’Dance”) her family moved to the “country” area of Chappaqua, New York, to improve her health. She was educated there in a one-room schoolhouse and later completed a course at a local business college. Anne met her future husband Devoe B. when she was 17. Devoe was 19 and owned a garage where he sold and serviced foreign automobiles. Two years later, they married. They had a daughter within a year and a second daughter seven years later. Devoe had not ever had a drink of alcohol until after he and Anne married. Once he started, his drinking was immediately problematic. Anne had to learn the business and step in to keep it intact. She became so distressed with Devoe’s drinking that she went to Florida to seek a divorce, but returned to her husband and children without obtaining one.A family doctor suggested that she speak with Wilbur S., an early A.A. member. Wilbur gave Anne an A.A. pamphlet, which she left on a coffee table where Devoe would be likely to see it. The next day Devoe tearfully proclaimed that he had to “do something” about his drinking. Devoe attended A.A. meetings but continued to be a periodic drinker for almost ten more years before achieving stable sobriety. Anne and Lois W. met in 1941 while accompanying their husbands to A.A. meetings. They began discussing how they could improve their own lives by applying A.A. principles, and soon realized that the spiritual principles of the A.A. program could help them to recover from the effects that alcoholism had on them as family members. Anne felt herself to be extremely shy and fearful and felt that practicing the principles of A.A. would help her recover from these characteristics as well. With Lois’ help, Anne formed a family group in Westchester County, New York. The first meeting was held in Anne’s home and was attended by 15 women. In 1951, Lois and Anne contacted 87 scattered family groups and individuals who had contacted the A.A. General Service Office and asked if they were interested in forming a fellowship of their own. Lois and Anne’s work to unify these groups led to the founding of Al-Anon Family Groups. Anne was an active participant in Al-Anon’s early growth and development. Anne’s husband Devoe died in 1960, after ten years of sobriety. A year later Anne married a cousin of Bill W. and moved to Connecticut. Two years later they divorced, and Anne moved several more times before settling near her daughter in Santa Paula, California. Although by this time Anne was not active in Al-Anon service, she continued to work on her own spiritual growth until her death on February 24, 1984. Anne’s work to help family members recover from the effects of alcoholism lives on through the Al-Anonfellowship she helped to found.